Do you carry different foams and fills for your sofas? Yes we do! We have softer and firmer fills for both our seats and back pillows. For soft more sink in cozy feel we recommend our hypoallergenic down, so there’s no feathers or down involved so less maintenance. We carry polyester, feather down blend that performs very well having that polyester mixed in to help keep it’s shape! We have firmer foams for those who have back issues, such as a “firm” 2lb foam or our innerspring seat foam. Where are your sofas and sectionals made? 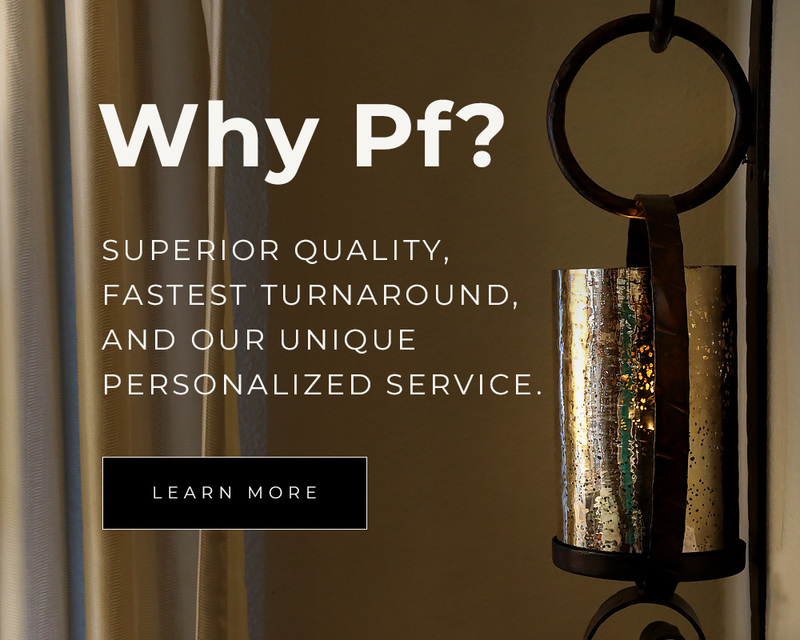 All our sofas and sectionals are proudly built for us right here in Portland Oregon, and Southern California. What is the constuction process of your sofas? Our frames are constructed of kilned dried solid woods, harvested right here in the Northwest. Our frames are corner blocked, stapled and glued. The sinuous springs we use are manufactured from recycled steel. We use 2lb polyurethane foam for our standard seating that is hypoallergenic and is free of any flame retardants. What is your average lead time on your custom sofas? We have a very quick turn around time of 3 – 5 weeks on all our sofas and sectionals. Even if you make a frame change to the style you are special order for us, it does not slow our lead time down! How custom are your styles? We can adjust the length, height and depth to any of our designs. We can swap out legs, go from wood to metal. On some styles we can adjust the arms width and even swap them out for a different style arm. What exactly is microfiber and how is it different from other upholstery fabrics? The difference between a microfiber and any other upholstery fabric is the density of the weave. Microfibers are so tightly and densely woven that they become quite shield like. Allowing liquid from spills just to bead up on surface, giving you time to get that rag from the kitchen and be able to bolt off very easily. They are a wonderful choice if you have children or pets within your home, including cats. We find the velvet version of microfibers performs them best with cats. As they can’t snag this material with their claws and the hair doesn’t stick to this fiber. Making it very easy to just gather up the fur with just your hand and vacuum off. 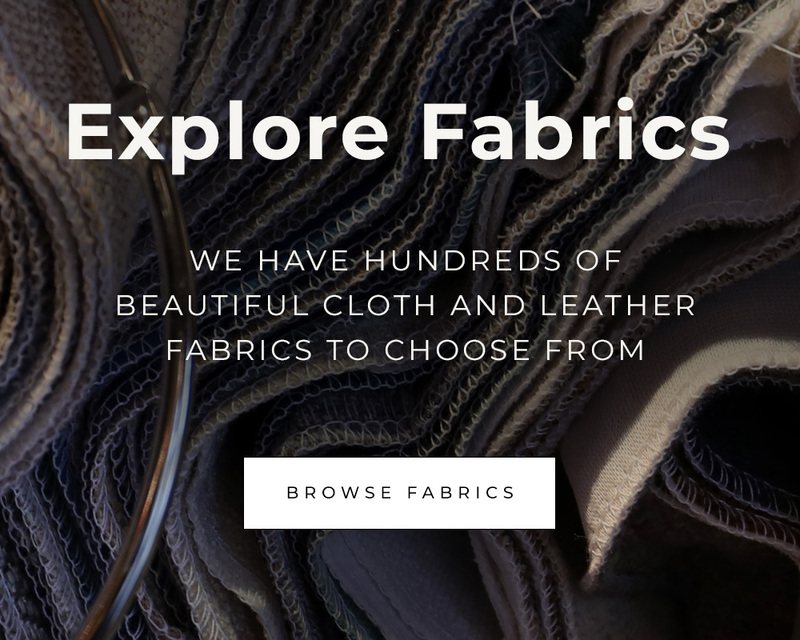 What if I select an upholstery fabric other than microfiber, will it not be as durable then? No not all! All the fabrics we carry for our styles are considered heavy duty upholstery grade level for both residential and commercial. They all go through a test that measures the durability of the fabric to determine the “double rub” count of the fabric. Double rub is the measurement of the fabric’s abrasion resistance. For all our fabrics that we carry, and for them to be considered heavy duty grade level, they need to be between 15,000 to 100,000 double rubs. If your fabric doesn’t resist spills as well as a microfiber would, we can always suggest you have your fabric treated with sealant that will help your fabric repel liquids more efficiently. What if I don't like my order when I receive it? Can I return it? Since your furniture is custom made to your specifications to suit and fit your space, it is handcrafted for you. Therefore, it is not returnable. We promise to deliver what you’ve ordered to your satisfaction. If your furniture does arrive damaged, we ask that you please note it on the delivery paperwork. Send us an email with photos. We will handle taking care of the damage for you as quickly as we can at no cost to you.